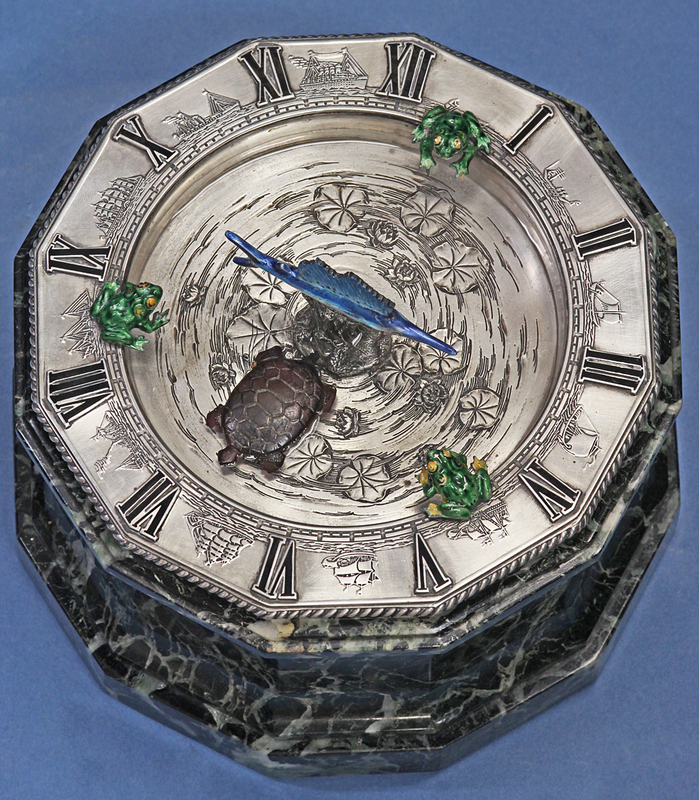 c.1931 American Mystery Turtle Clock. 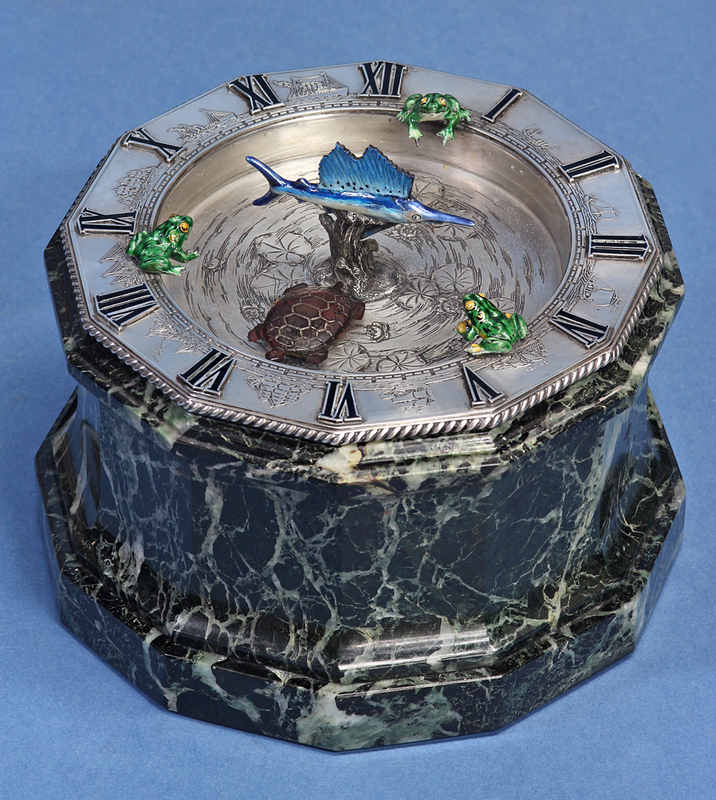 An extremely rare Early-Twentieth century marble, silver and enameled mystery turtle clock by the silversmiths Eleder-Hickok Co. and the clockmakers Chelsea Clock Co. 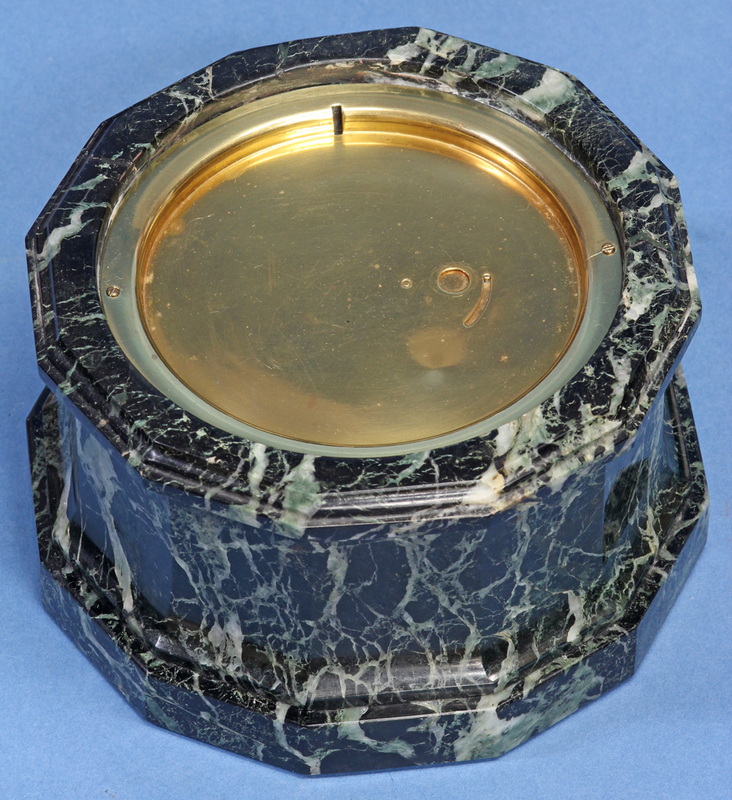 The twelve-sided green variegated marble case has a gilt-bronze plate with a winding aperture above and a silver plate, stamped ‘sterling’, recessed in the base with a shutter to access the fast/slow. 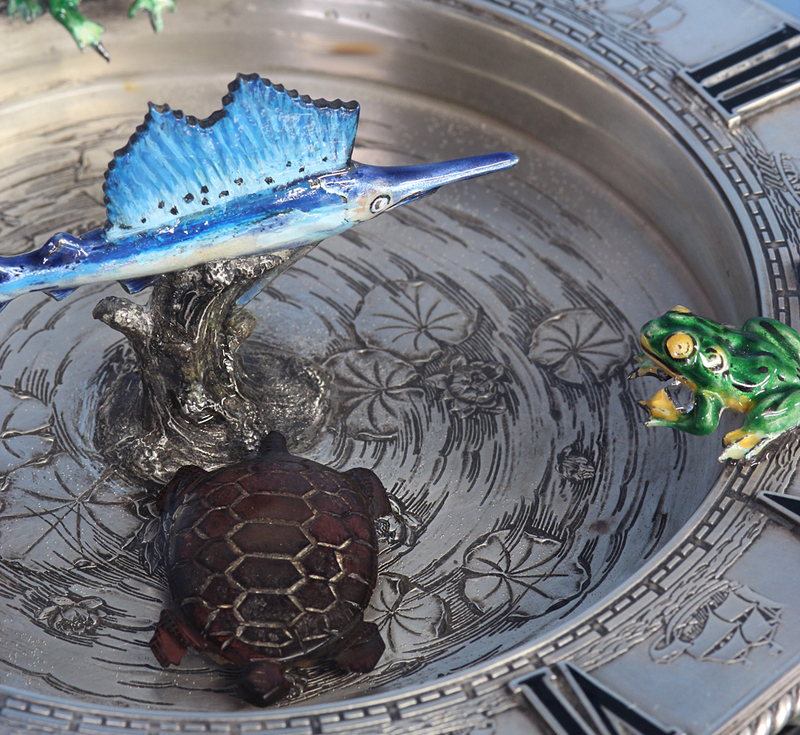 The engraved silver tray has three polychrome enamel frogs around the edge and a polychrome marlin atop a spray of water in the center. It also has a rope-turned outside edge, lily-pads on the bottom, an engraved minutes chapter and raised black enameled Roman numerals separated by a progression of ships that depict the evolution of shipping from the single rowboat to a vintage cruise liner. 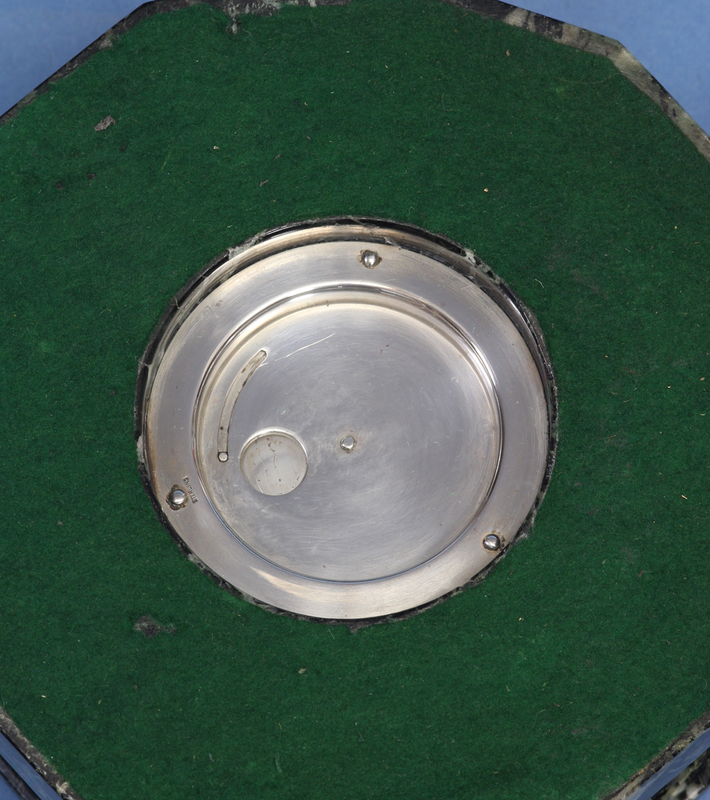 It is stamped on the underside, ‘L, Sterling, 05389’. When filled with water a floating carved turtle mysteriously points to the time. The time-only eight-day movement is mounted horizontally in the base, has the time-set out the side, is wound through the top and is adjusted for fast/slow out the bottom. 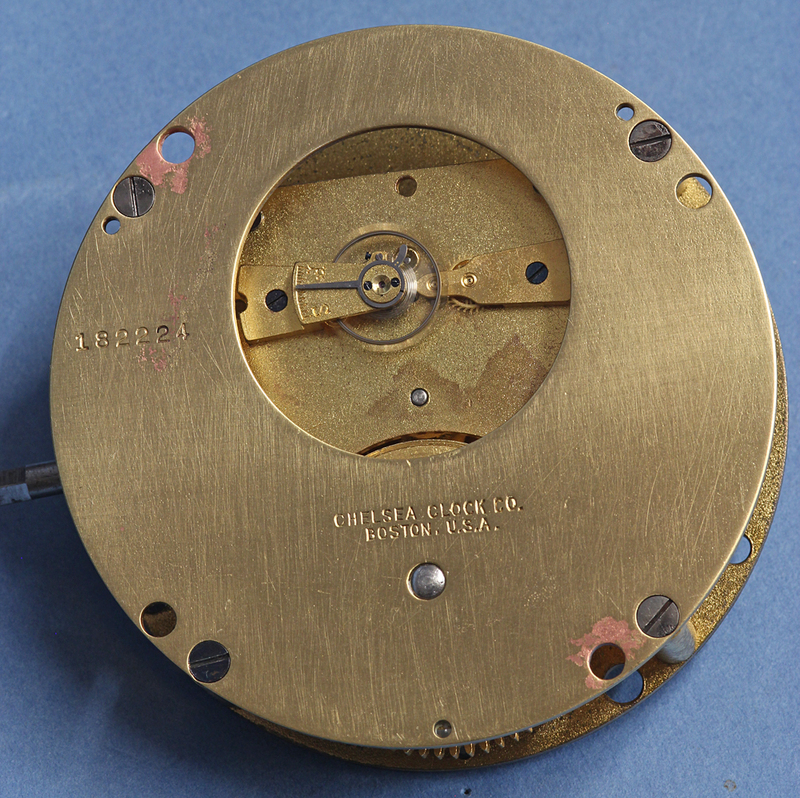 It is signed ‘Chelsea Clock Co., Boston, USA’, is numbered ‘182,224’ and has a screwed lever balance mounted to a sub-plate. Instead of Chelsea’s normal under dial gear work the motion work ends in a large circular magnet with a gap in the circumference. 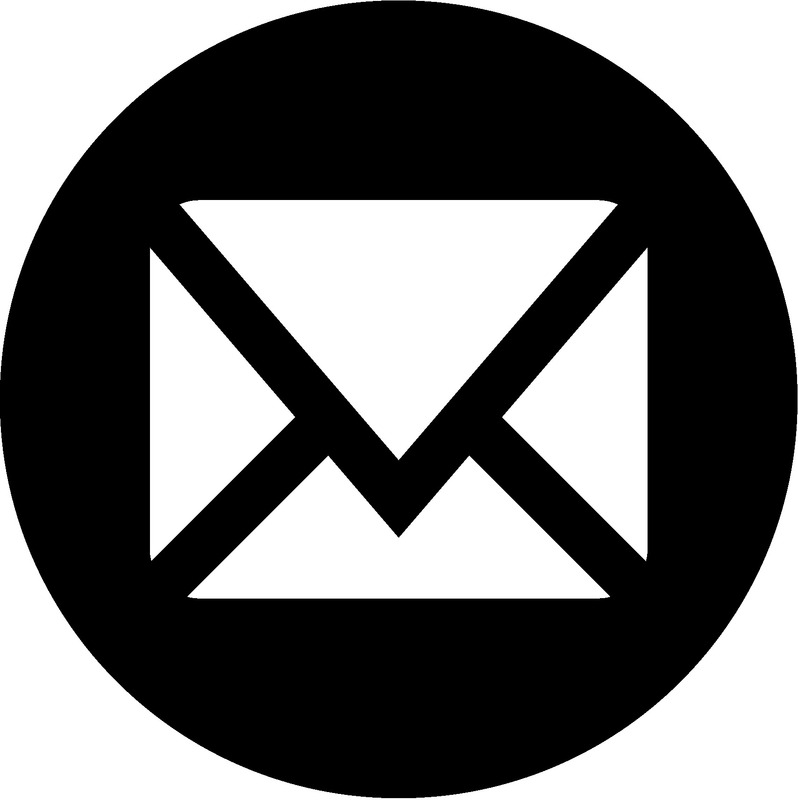 The turtle contains a strip of metal that always positions it in the opening and consequently to the time. According to Chelsea’s records the movement was shipped in 1931 and was identified as the ‘3D’ movement. It was one of only seven movements with that identification and all were sold to the firm Eleder-Hickok Company over a period of several months. 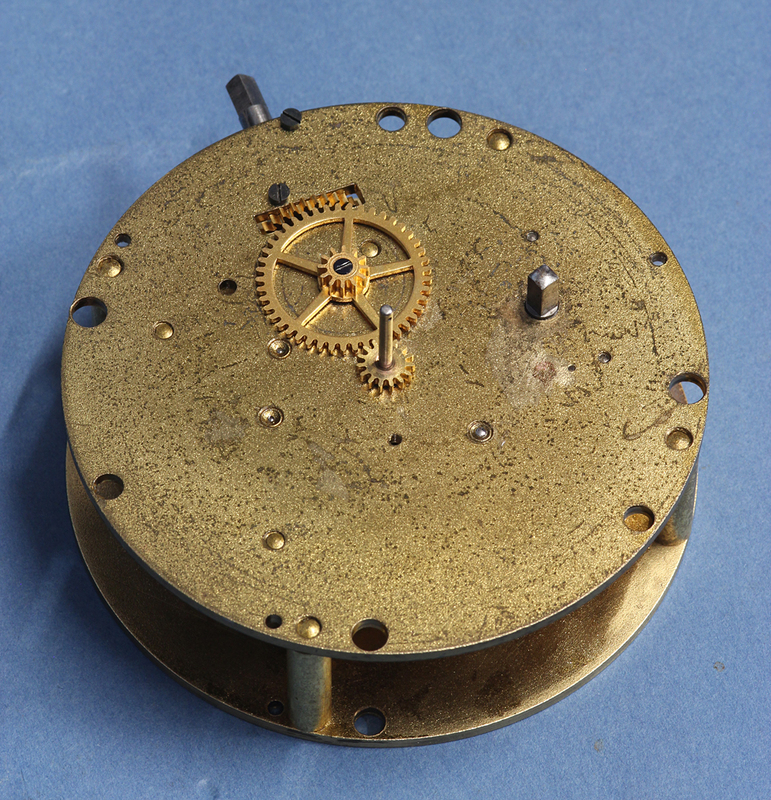 Since all the work including the side-set was done at the factory and the only ones with that designation went to Eleder-Hickok it suggest that the designation 3D was used for the movements specifically designed for the turtle clocks. 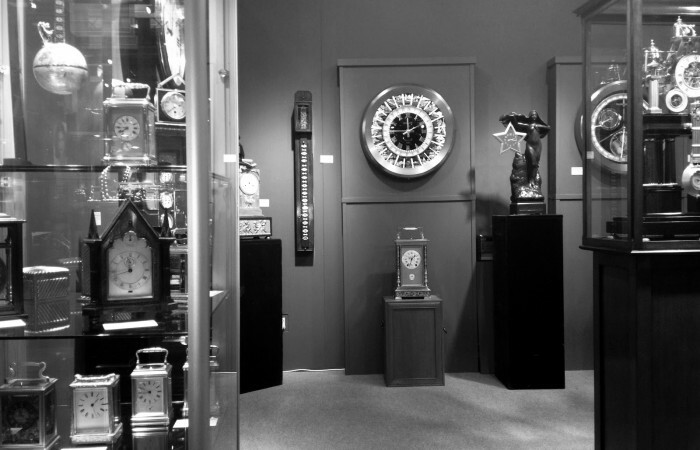 The Chelsea Clock Company was established in 1897. They made high-grade marine pieces and supplied their movements to high-end manufacturers such as EF Caldwell and Tiffany Studios. The Eleder-Hickok Co. were silversmiths in Newark, New Jersey that completed commissions for Cartier, Gorham and several other important jewelers during the early twentieth-century. The name changed several times and included various combinations of Eleder, Hickok, Mathews and Lebkuecher. The ‘L’ with the partial circle was an early mark.